I love documenting normal, everyday moments. As an adult I often think back to my childhood and have these foggy memories of my family camping, baking or even just grocery shopping. I remember this one time, I was probably 8 or 9, I went to the grocery store with my mom and this was the first time I realized the vegetables got sprayed with water in the produce area. I WISH I had a photo of my face when the 'thunder' came on and the water started spraying. I thought it was the COOLEST thing ever. So many major milestones are celebrated and documented but I have learned that as time passes, it's those 'homey' feeling moments I try so hard to remember. I want to document those moments for you. I want to show how beautiful your normal is. A few weeks ago I was honored to document a morning with the W. Family in their home. Just their everyday normal. I hope you enjoy their morning! May was so much fun around here! We were finally able to really enjoy being outside! We started exploring even more. We found some really fun places to go! My mom came to visit and we had our first outings to the lake where the girls could actually go swimming! April started while we were still in Tucson. We finished up our trip and headed back to Colorado. Lilian had her Girl Scout Ceremony, her birthday and TONS of birthday visitors from out of state! April was a pretty wonderful month! March was a really fun month. I think we really started to find our groove here in Colorado. We really started to make some friends and the weather was nice on some days so we could even leave the house and begin exploring! Towards the end of the month the girls and I went to Tucson so Lu could spend spring break with her father. So I am beyond behind in blogging my 366 images! So here I am playing catch up! I haven't been posting consistently to my Facebook so here you can see all go my images! Shooting this for myself has been the best thing I have ever done. It has really opened my eyes and made me change my perspective so I don't have the same image day by day! Are you working on a 366? I actually have no plans of ever stopping shooting daily.. I am really excited to see how long I document daily! Here is February in pictures! 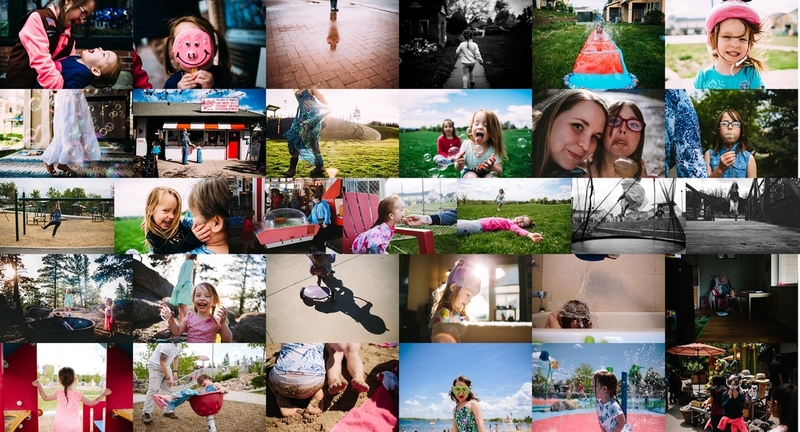 I am so excited to have some new images with my new preset collections to highlight! I have poured my heart and soul into these presets and sharing them with the world is a HUGE step for me! I have been using them on my own for months now I can't wait for more artists to submit images so I can feature them on my blog! If you're using my presets make sure you send me some of your own photos so I can feature your beautiful work right here on my blog and on my facebook! I tried to make them extremely versatile for every type of photographer. They are great for both indoor and outdoor photography. I am mostly a documentary and lifestyle photographer but I also shoot some posed and styled work. I love easy these are to use and I might tweak them a tiny bit to suit my image, but that's what makes them amazing.. you can literally use them for EVERYTHING!! For those that haven't purchased my new preset collections head over HERE and snag them while they are discounted! I had the honor of spending a day with the Ramp Family recently to kick off the launch of my "Your Story" sessions! These sessions can be partial days or full days but they are always so much fun. Your ordinary is worth documenting and remembering. My Your Story sessions are currently discounted for anyone that books in the month of February. You do not have to have your session in February. These sessions can take place in Colorado Springs, Denver Metro, and Fort Collins CO. They can also take place when I am in Tucson in March. All sessions include your edited digital gallery as well a video slideshow set to music!